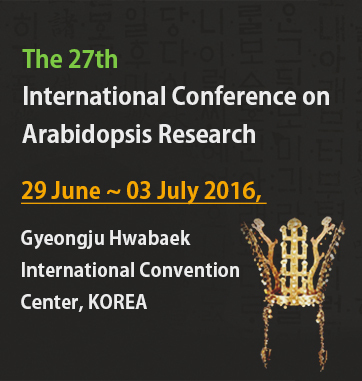 Today was the first day of the 27th International Conference on Arabidopsis Research, also known as ICAR. If you follow Twitter, we’re using #ICAR_2016 (apparently there is an “Animal Reproduction” conference using #ICAR2016 so we’ve added the underscore; as Twitter becomes more and more popular we’re running into more of these “bandwidth” issues). The conference this year is held in beautiful Gyeongju, on the south east coast of Korea, which was the capital of the Silla kingdom from 57 BC – 935 AD and so has many ancient remains and artifacts (including the gold crown that illustrates the conference webpage) to explore. The conference center is on the edge of a lake surrounded by small mountains, so is very beautiful. The conference began this afternoon with a welcome address by the Conference Chair, Inhwan Hwang, from Pohang University of Science and Technology. Later, Inhwan told me that one of the important things the organizers wanted to do was create a conference fee affordable for students, and there are a lot of lucky students here to learn and present their work. 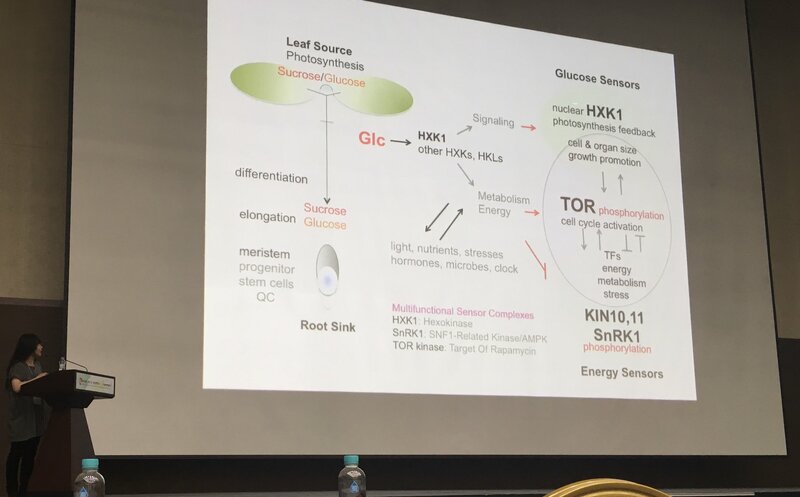 The opening Keynote Speech was given by Jen Sheen from Harvard University, who talked about her work “Probing Hidden Genetics in Dynamic Signaling Networks”. Much of the work she presented is still unpublished, but we heard a lot about the power of using chemical genetics, in which specific chemical agonists or antagonists can be used to identify mutants and explore the function of genes. She described her research into sucrose and nitrate signalling, and the roles of MAP Kinases. a Journal Editors’ Session. The editors of several journals were invited to give a short presentation introducing their journal and saying something about journal policies and acceptance criteria. We heard from representatives of Molecular Plant, Plant Cell Physiology, Journal of Integrative Plant Biology, and Plant Cell Reports. I stood up for Plant Physiology and Plant Cell, and of course mentioned Teaching Tools and Plantae. 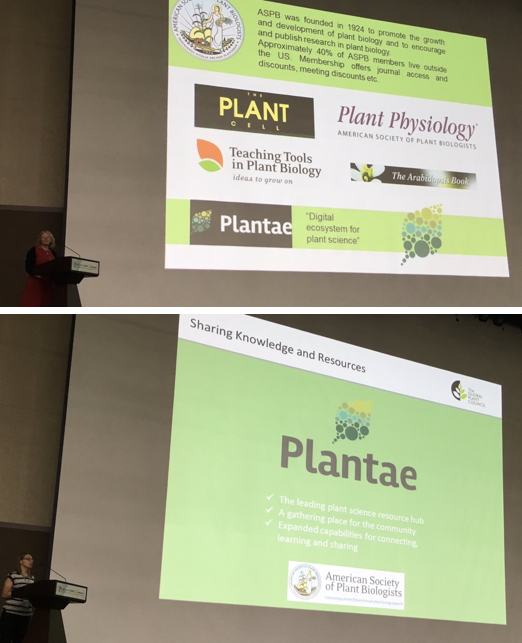 Finally, Ruth Bastow, Executive Director of the Global Plant Council described the roles of this international organization including its support of Plantae. Then we adjourned for the welcome reception, including a welcome from the Mayor of Gyeonju. So we’re off to bed early in anticipation of a very stimulating and tiring four days ahead of us (tomorrow’s program begins at 9am and ends at 10 pm! ).